Transfer back to Beijing airport for your flight to Shanghai. On arrival, you'll be met at the airport and transferred to your hotel, for a three night stay. 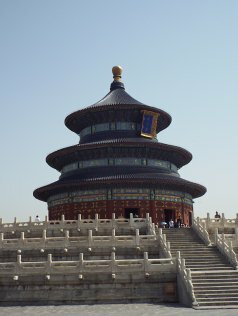 Our stopovers in Shanghai are extremely flexible so if you’d prefer a shorter or longer stay just ask! Spend the next few days exploring vibrant Shanghai. Take in the main highlights including Peoples Square, the Old Town and Yuyuan Gardens, the shops of Nanjing Road and the restaurants of the French Concession. Transfer back to Shanghai airport for your flight to Phuket. On arrival you will be picked up and transferred to your chosen hotel, for a seven night stay. A range of hotels is available and durations are flexible, so you can stay for as long as you wish. Spend the rest of your stay in Phuket relaxing on the beach, exploring the island and soaking up the Thai atmosphere. Take a day trip to Phi Phi, a stunning island! Transfer to Phuket airport for your return flight to the UK. Combine the two leading cities of China with the most popular beach resort in Thailand - spend three nights in both Beijing and Shanghai and a week in Phuket. Flexible durations available. 2019 Beijing, Shanghai and Phuket multicentre package holidays Prices are per person based on two sharing.